Wanda is in no way a pretty or good witch. 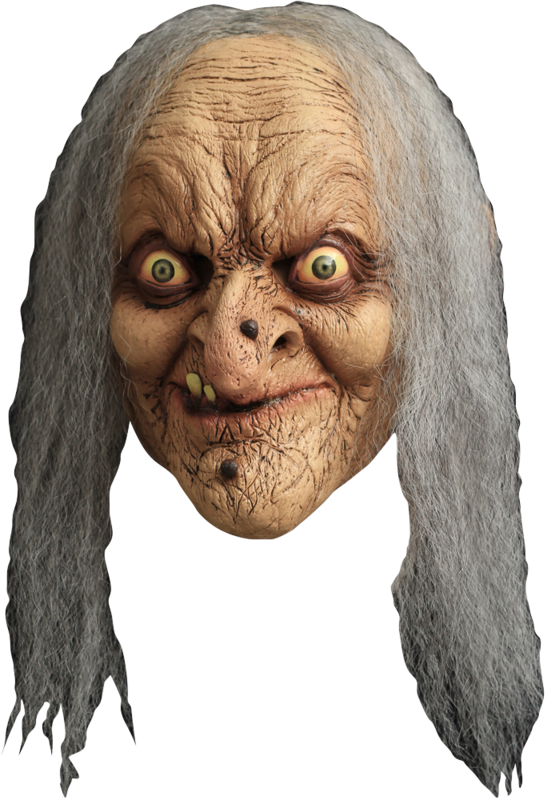 Wanda's wrinkled face has warts with a few yellow teeth sticking out through her lips and her light grey hair hangs on the side of her face. Full over the head latex mask.